OBD Fusion is an app for your car that allows you to read OBD2 vehicle data directly from your iPhone, iPod Touch, or iPad. You can clear your check engine light, create customized dashboards, read diagnostic trouble codes, estimate fuel economy, and much more! OBD Fusion is also available for Apple Watch! Is your check engine light on? Do you want to monitor fuel economy and usage in your vehicle? 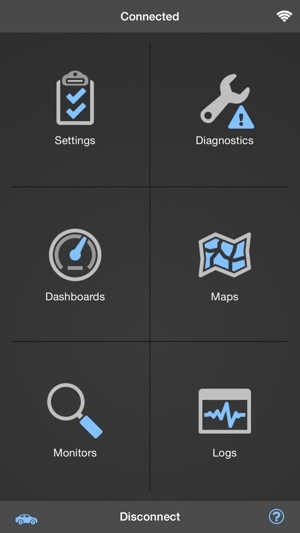 Do you want cool looking virtual dashboards on your iPhone or iPad? If so, then OBD Fusion is the app for you! OBD Fusion is used by professional mechanics, do-it-yourself mechanics, and vehicle owners who want to monitor their vehicle and daily driving habits. Drive smarter, improve your fuel economy, and keep your engine healthy! OBD Fusion supports all OBD2 and EOBD vehicles sold worldwide. Not sure if your vehicle is OBD2 or EOBD compliant? See this page for more information: https://www.obdsoftware.net/support/knowledge-base/how-do-i-know-whether-my-vehicle-is-obd-ii-compliant/. OBD Fusion can also connect to some JOBD vehicles through advanced configuration in the app. Please contact us for more details. OBD Fusion is brought to you by OCTech, LLC, the makers of TouchScan and OBDwiz. Now you can get the same great features for your iPhone, iPod Touch or iPad! 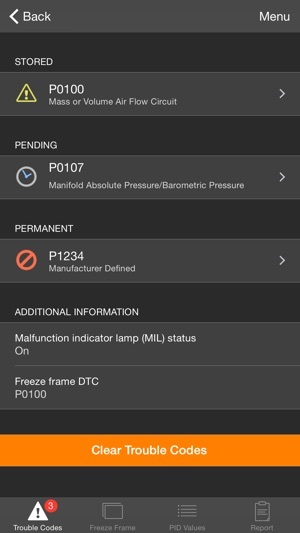 - Manufacturer specific Enhanced Diagnostics are available for certain vehicles through In-App purchases. * Some features may be limited based on the adapter that you are using. OBD Fusion with the Automatic adapter is currently limited to reading SAE PID data only. OBD Fusion with the Vinli adapter is currently limited to reading SAE PID data and trouble codes only. • Added Ford enhanced diagnostics for 2019 Ford and Lincoln vehicles. • Made improvements to increase the speed at which enhanced PIDs are read from some vehicles. • Added an option to set the number of decimal places for data logged to CSV file. • Made improvements to the year, make, model, and option selectors in the vehicle editor. • Added Station Wagon as a vehicle type. • Fixed a bug that prevented the restore purchases button from working when on a cellular connection. This works well with my OBD2 dongle. The information seems accurate and helped me when buying a used car by showing me the error codes, which I showed the dealer. He then gave us a new battery based on the report with no change in the price of the car. There are a few annoyance. It does not connect with the Bluetooth with out some finagling. Once the phone is turned off, it loses the connection. The data does not seem to be saved. Once I use it on another car, the data for the first car is lost (or I can’t find it). It “forgets” vehicles so I have to to re-enter the information when I change cars. It would be nice to be able to download the information to a desktop for storage. Overall works well for diagnostic information but it would be nice to store each car’s information and be able to reference it later. So I've edited my review an added 3 stars, and here is why: customer support and their ability to respond to reviews to address concerns, big plus here, it shows they are actively aware and engaged in making the app better. Second while you have to go through menus to activate them, there are additional PIDs for ford and gm. If those weren't available, this would of been a deal breaker for me. Third, the app is updated regularly and looks modern with digital readout gauges. Overall as long as it proves to be as accurate as dash command I'll make the switch. One thing I would like to see in the future is min max values on the digital read out gauges in addition to current values. OBD Fusion doesn't have enhanced diagnostics for GM, but it does have some GM specific PIDs that you can import including knock. Open Settings > User-Defined PIDs and press Menu > Import built-in PIDs. 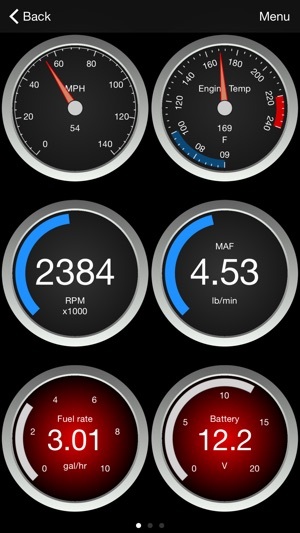 This app helps me monitor my selected PIDS(engine sensors) that I can choose from many of my engine sensors. 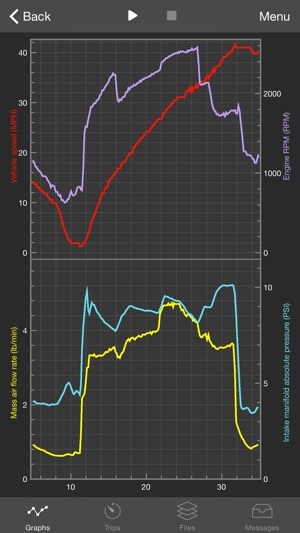 The app is very quick to detect my OBD connected to my Ford 2004, V 10, 6.8 L, Motor Home engine. It is very helpful to monitor my fuel usage, and gives me an optimum vehicle speed. The PIDS are easy to select, and you can set over all trip log engine data. All pages are easy to follow, menu selections. Creating, and moving engine sensors, and their design, color, and position, on the user designed Dashboards, are very easy. This IOS app is well worth the App Store price, and quickly pays for itself. I am very pleased with this extreme user friendly app. I highly recommend this app. Thanks for your review and recommendation! I'm very glad to hear you're enjoying the app!